These outcomes are possible when it’s done right. The first thing to look for is a fee-only financial planner and one that’s willing to work as your fiduciary. That’s a good start. But you can go further, too. Instead of just looking for financial planning and getting some suggestions on how to use your money wisely, try diving into life planning instead. Many people don’t form positive associations with the term “financial planning” because the emphasis is on the practical side of money management: how much you need to save, where to put that money, what you need to do now so you can retire later, how much insurance you need, and so on. The focus in a traditional financial plan is figuring out how much money you need to save and invest for a distant “someday” in the future. For the most part, it’s about working and saving until you reach retirement age — and then doing no work and living solely off your assets in that retirement. It’s also restrictive. If you only look at how you can maintain a certain level of income after you retire, you risk missing out on all the years between now and then. Who wants to fast forward through decades of their lives? Who wants to miss out on the experiences they can have with their new spouse, their growing family, their wonderful children, because they’re only planning for the day when they quit working and live off their savings? Your life is about way more than just money. This is where life planning comes in and provides a better solution for families who want to make the most of what they have. 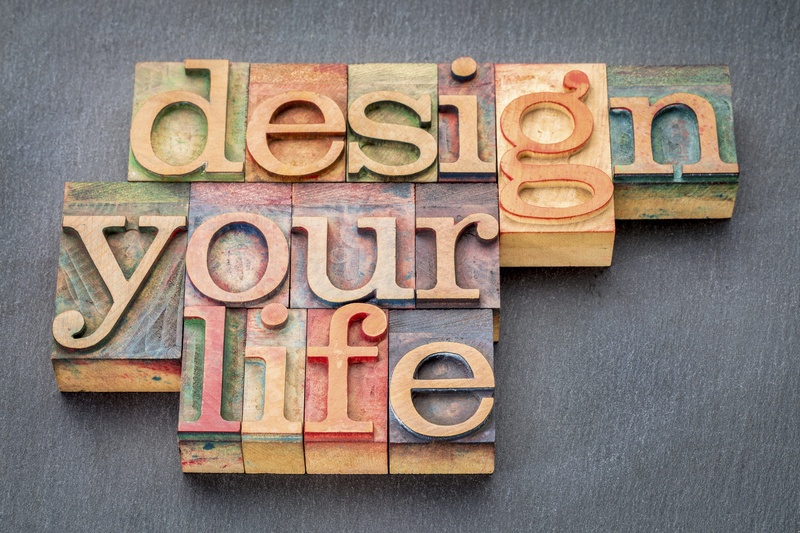 Life planning takes a comprehensive and holistic view of you as a person. It’s about understanding who you are and what you want to get out of life. Engaging in life planning considers not just how you might want to use the money you have — but how you want to use the time you have. This goes far beyond making some suggestions on your investments or giving advice on what kind of insurance your family might need. Life planning puts the focus on what’s important to you and what you value. From there, you can build a financial plan around those values and priorities by making smart decisions with your cash flow and ability to earn an income today. With this kind of approach, spending money isn’t bad. In fact, it might be encouraged if it aligns with your values and gives you the ability to access the experiences you want. The point is to use your assets in a way that supports activities, actions, and opportunities that match your values. But it doesn’t ignore the financial realities that we all face, either. Life planning helps you balance your responsibilities — like saving for the future or caring for your dependents — with your dreams and goals, like traveling or giving your children great life experiences. When you go beyond basic financial planning and dive into life planning, you may face some hard questions. A financial advisor who helps you with financial life planning isn’t going to simply hand you a budget or a report showing when you can retire. They may not even start by asking you about your finances. Instead, they’ll ask you about your aspirations, your dreams, your goals, and your priorities. They want to know what you want — and more importantly, why you want it. That’s because life planning is also about helping you clarify and focus in on your life’s purpose and meaning. It helps to uncover what you’re passionate about first, or why you value what you do, and looks at how to get there from a financial standpoint later. When you can get clear on these big ideas in your life, you may find it easier to take actions with your money that bring about more happiness and true fulfillment. You’ll understand what really matters, and align your finances with that (instead of chasing more money to get more possessions, which can leave you unhappy and your nest egg lacking). Financial decisions become more clear when you start with why. With a specific purpose, mission, or dream in mind, you can pull your money into service of that goal and use it to build the life you want with confidence. Dream big!